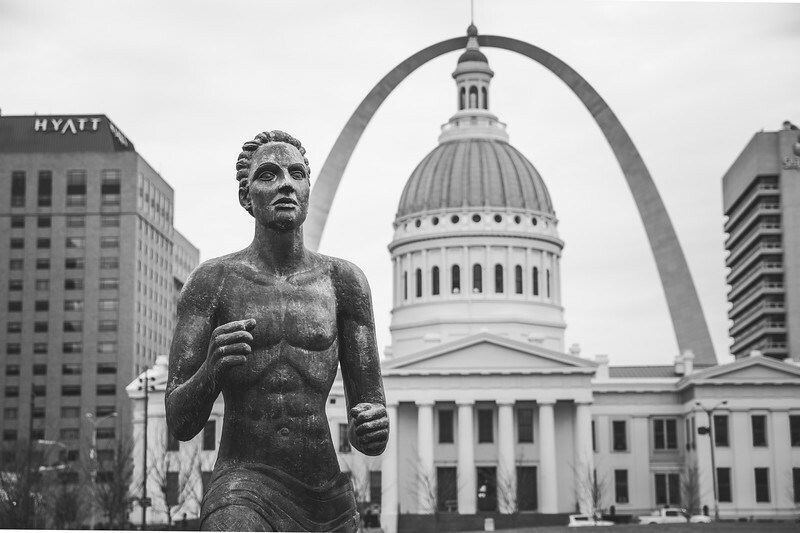 One statue that I have liked since my first trip to St. Louis was the Olympic Runner. I usually place it directly in line with the courthouse and the arch, but on this last trip I decided to change things up a little. I really liked the new composition. The fun of going to one place a few times is trying out new things. On my only morning in town the light was not good. In early March when I am often there the light is rarely good. Instead of having that bad light dominate the photo I decided to make it a black and white. You still know that it was gloomy, but it looks a little better to me this way. Someday the sky will be amazing when I visit St. Louis. Until then I will have to keep finding ways to process the grey sky photos.